AFRICANGLOBE – Ethiopia is the latest nation where an international aviation accident is in sharp focus, but the country itself is treated merely as the hazy backdrop and tragic context for a larger geopolitical story. This one involves Boeing, China trade wars, and the credibility of American regulatory institutions. Ethiopia is also building a massive project on the Blue Nile known as the Grand Renaissance Dam. When completed in 2022, the dam will generate 6,000 megawatts of hydroelectric power, making Ethiopia Africa’s largest electricity exporter. All these grand projects, however, require both global financing and partnerships. The Navy is getting help from France following President Emmanuel Macron’s four-day Ethiopian visit recently. The airports, train system, and the final stages of the dam are all heavily underwritten by China. 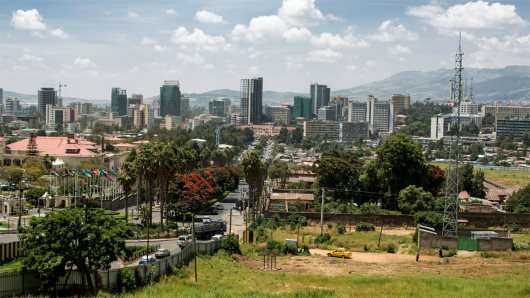 Despite an active Ethiopian-American community and a Washington visit by Ahmed last summer, U.S. economic investment in Ethiopia is lagging that of China. Covering the recent Ethiopian Airlines crash has brought journalists to Addis Ababa via the newly expanded Bole International Airport—the busiest airport on the African continent and one that has recently tripled its capacity. Ethiopia is now a busier regional transfer hub airport than Dubai. Not long ago, Ethiopia also set in motion the building of three new regional airports.